Ultra-red is an activist art group founded in 1994. The group proposes an alternate model for art and activism, one in which it is not the artist's critical intervention that serves as the source of cultural action, but rather that art might contribute to and challenge the process of collective organization and relationship building itself. The focus of Ultra-red's practice is sound-based research that "takes up the acoustic mapping of contested spaces and histories" to "directly engage the organizing and analyses of political struggles." Their most recent project just completed its final phase in an exhibit at Parson’s Aaronson Gallery. Titled Vogue'ology, the exhibition is a joint project between the Ballroom Archive & Oral History Project and Ultra-red, curated by Arbert Santana Evisu, member of the House of Evisu, Carin Kuoni formfrom tat he Vera List Center for Art and Politics, and Robert Sember of Ultra-red. Ball culture has existed in New York since the 1930s, but gained national attention in the early 1990s with the release of Jenny Livingston's documentary Paris is Burning, and Madonna's subsequent interest in the aesthetics and culture of vogue. The community is also one of those hardest hit by the HIV/AIDS epidemic, and has lost many legendary figures over the past thirty years. I spoke with Ultra-red about the Vogue'ology project, ballroom culture, and the politics of the archive. What were the motivations behind this project and what you see as the goal of Vogue'ology? To respond to this question we must provide a little background. Ultra-red member, Robert Sember, has had a long affiliation with the House|Ballroom community, beginning with his role as an instructor in a year-long HIV/AIDS prevention training program funded by the CDC. He found, however, that rather than work in partnership with the community and learn from its systematic cultural analysis of the crisis, conventional public health responses to the community are almost always paternalistic and frequently exploitative. This is also the case with culture industries. Vogue’ology investigates a very different approach. The project began with an invitation from members of the House|Ballroom community to contribute to the development of a number of projects, including a community archive. These projects were part of a plan by senior members of the community to establish an autonomous, not-for-profit Ballroom organization. When this larger initiative stalled, we moved ahead with the archive project in the belief that the development of a critical, historical consciousness will provide a foundation for attempts to organize the community as a political constituency. So, the motivation is an admiration and love for this community and the goal is its greater autonomy. An important part of Ballroom culture is the vogue performance itself, which is by necessity a temporally bound, experiential event. What is the function of an archive of performance, and what are its limitations? The Ballroom community is about much more than performance, and Vogue’ology is concerned with more than performance. The reference to vogue in the title of the project may be misleading, so let us explain the inspiration for this title as well as its relevance to our current and future work. When Robert participated in the training program for members of the Ballroom community, he often found himself in the position of learner. This included using videotapes of vogue performances to undertake gesture-by-gesture codifications of the form. The codifications mapped systems of en-gendering — certain gestures marked or expressed specific sexuality and gender positions. The codification process included developing narratives that mingled rigorous aesthetic analysis with historical and biographical information and political analyses. The community’s organization of vogue into “old way” and “new way” styles marks the form’s historical dimension. By distinguishing between “fem queen” and “butch queen” vogue — just two of many different categories of vogue — performance is aligned with the community’s complex explorations of gender. Now, imagine the questions that arise when the study of vogue documents shifts in these codes. These shifts, often manifest as contradictions, are indicators of changing gender-sexuality configurations and they raise questions about what was or is happening within the scene and the world at large. As a result of these tutorials, Robert learned vogue as both an embodied analytic history as well as a virtuosic performance form. Thus, for some, the performance of vogue and the viewing of vogue are methods of investigation. Vogue is a methodology of gender performativity. It is also, therefore, an epistemology, an embodied knowing. From this perspective we understand vogue to be conditioned by systems of racial, economic, gender and sexual power, which is to say that it brings into play many of the terms of inequality while contradicting their patriarchal and racist underpinnings. In light of this, the archive becomes a venue for the critical examination of methodology and epistemology. As led by its founder, Arbert Santana, the aim of the Ballroom Archive and Oral History Project is to engage the community in critical discussions of the contradictions manifest in vogue performance and established by the community’s kinship structure and its many other activities, such as it cultural labor. Such an archive clearly has broad implications beyond a curatorial or academic context. Why is it important to create an "archive of vogue"? We must emphasize that vogue is one of many aspects of the Ballroom scene that t the archive will represent and what we say below about archiving vogue applies to other aspect of the scene as well. The archiving of vogue can be justified by the fact that it is a distinctive and influential dance form. Its impact on fashion, music, dance and gender theory is important. It has its own rich tradition and, consequently, its own history. Scholars of dance have much to learn from the history of vogue, which includes a growing list of legendary performers as well as a number of radical shifts in style. Each of these characteristics is a sufficient foundation for an archive. We are particularly concerned, however, with the fact that the archive lives in relation to the community’s present and its future. That is, the archive is in the service of a community for whom vogue is a site of tradition as well as innovation. Many histories of vogue lie in the collective future of the scene and its ongoing aesthetic interrogation of dominance. Among the questions we face at this point in the formation of the archive are those concerning what contribution might be made by historiographies of vogue to the future of the community and its creative enterprises. We are particularly concerned, therefore, to situate vogue in relation to the community’s many other activities, including its struggles with racism, gender oppression, homophobia, transphobia and poverty. Perhaps we can describe the archive as emphasizing vogue’s analytic dimensions rather than viewing it as a narrowly conceived performance activity. Many of the participants in the ballroom community describe vogue performance in terms of feeling or affect, as something that can't be taught and can only be learned through participation and action. Yet the methodology of Vogue'ology is very dry and disciplined. Can you speak to this contrast between subject and method, and to the reasoning behind the project's protocols for collection and exhibition? Ultra-red’s work does not aim to represent vogue. Rather, the work on view at Parson’s Aaronson Gallery was a venue for an investigation of terms for an archive. As you correctly note, the work did not attempting to mirror the Ballroom scene. Nor did it exhibit the archive. Our focus was on the position and actions of the viewer/listener and not on securing for viewers an encounter [with] the House|Ballroom community. Can you describe the structure of the exhibition at the Parson's Aaronson Gallery? The investigative structure, based on procedures Ultra-red has developed over the course of its multi-phased “School of Echoes” initiative, is very simple. We invite participants to consider the encounter between objects, such as a dress, photograph or video of vogue performances, and propositions or assertions made by Ballroom members about various aspects of the scene. Your question references statements concerning teaching and learning, which we will discuss in more depth below. Participants in the investigation are asked to consider a number of object-statement conjunctions in order to appreciate how objects shift meaning and importance as they are re-situated by propositions and analytic statements. The systematic, repetitive process of investigating objects in relation to statements was the “performance” of the Vogue’ology work at Parsons and helped us collect suggestions for themes the archive should serve. By theme we mean the archive’s organizing propositions or contradictions. In other words, we were not concerned at this point with the process of collecting materials for the archive as much as we were concerned with developing an appreciation for how histories inform the future. The issue of teaching and learning is certainly one of the themes that will organize the archive. You have referenced statements describing vogue as affective, experiential and expressive. This is certainly a strongly held attitude by many in the scene and as you indicate it is presented as justification for a particular pedagogy of vogue, which is that vogue cannot be taught, it must be learned through practice. But the statements about vogue included a number describing how vogue was systematically studied. There is a tension if not a contradiction between statements made from the position of those who might teach vogue and their own statements about learning [how to] vogue. This question of pedagogy is situated within many discussions, also represented in the Parson’s show, about inter-generational tensions. So, we have an image of vogue as expressive of individuality and we have propositions about its styles and qualities that cut across its individual expressions. Anyone who has been to art school—and the Ballroom scene is like an art school in many ways—will appreciate this confusion. Arguments concerning respect for tradition and the cross-generational transmission of knowledge are also resonant across contexts and constituencies. The pedagogies of the House|Ballroom scene ought to be a central concern of the archive. Sound seems an incredibly important part of the archive, and is supplemental to each station and object. Why do you choose to use sound as your primary medium for archival and exhibition, and what do you mean when you make reference to "the discipline of listening"? 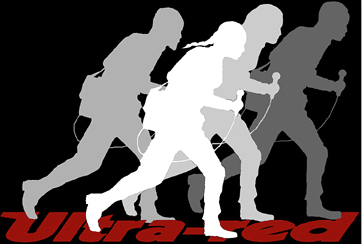 Ultra-red describes itself as a sound-art collective. It may be more accurate, however, to say that we are really interested in listening, especially collective listening. The literature on sound and listening is growing rapidly as are experiments and explorations of what we describe as “scenes of listening” or “choreographies of listening,” the settings and procedures within which people work together to build analyses and organize collectively. We do not have time to provide an exhaustive account of current theories and practices of sound and listening. There are two points, however, that it may be helpful to review at this moment. First, as theorists and experimenters such as Pierre Schaeffer have made clear, listening is by no means an automatic or singular activity. Listening brings into play questions of position (both social and spatial), relation (to sound objects, speakers, authors and fellow listeners) and perception (attention, duration, quality, memory, etc.). Listening is at the very least a process, even a performance. Its mechanisms, procedures and investments are rich, productive, and often political. Listening is also a socially privileges privileged site for pedagogy. One of the qualities of sound and, consequently, of listening that we have focused on a great deal is duration—sound unfolds, it requires time, which brings into play the possibilities of repetition and change. This is not to confuse its qualities with analytic depth and to claim that it is a privileged site for learning and teaching. Our protocols bring writing and discussion into the process of listening as necessary elements of the process of analysis and codification. Second, sound and listening have available to them the very powerful tool of silence. The practice or discipline of silence is essential to listening. This too raises many questions about the conditions under which silence is performed, by whom and to what end. Silence conditions listening and collectivity in very interesting ways and we have committed ourselves to exploring the possibilities of silence in our work. The protocols you refer to are guidelines for listening. They involve a range of positions and procedures for listening that employ repetition, silence, duration and writing. In this sense, they are encounters with method and the terms of the discipline (in the sense of an organized field of study) of listening. In your view, then, what kind of expectations do sound objects make for a gallery patron, and what kind of attention does this produce? How the invitation is approached varies greatly so it is not possible to generalize. We would like to take this opportunity, however, to think through a little your formulation of the “gallery patron,” which we hear as a reference both to the authority of the gallery, the patron who controls the venue, and the visitor. As you can imagine from our approach to listening, we feel accountable to the collectives, primarily the constituencies with which we are partnered. We were concerned that a public work about the Ballroom archive at this point was both premature and potentially very problematic. Our presence at Parsons guaranteed that many visitors would treat the objects in the show as an exhibition, a display of representations of the community. Our time in the gallery indeed confirmed that this was the case for many. We could only hope that those who took the time to read the protocols printed on the gallery windows and available on each of the six tables in the room, would accept the invitation to consider the objects in relation to the statements available in both audio and written form. Our experience with the event only amplified our concerns about the value of exhibitions in relation to organizing. They are not particularly useful yet they remain central to the art world. Our greatest concern is the patron relationship they sustain, where an analysis is usually delivered as if resolved to visitors to the gallery. The pedagogy of the exhibition is almost always unidirectional—from Patron to patron. We were very ambivalent about doing this show because our investment at this point is so much on the work we are doing with members of the Ballroom community and the issues its members confront when dealing with the community’s history. The investigation of the archive by members of the Ballroom constituency is very different than it is for members of the many other “publics” that encountered the material. Vogue’ology provided a valuable contribution to this work in some very practical ways. It was an event around which the community could gather. It also provided a space for meeting and discussion. The session held in the gallery with members of the community involved an extraordinarily rigorous discussion of the relevance of history to the community’s political foundation. The discussion of vogue provoked by our manipulation of the video recordings of vogue performances (we disassembled, repeated and slowed the footage down at various rates) helped shape a series of profound questions about embodiment and experience as investigation and pedagogy. Those of us who have assumed responsibility for the development of the archive at this point left this meeting feeling inspired and challenged. Such an encounter is not reproducible for “the museum patron” conceived as homogeneous or singular. Our meetings with New School students and a “general audience” focused on questions of teaching and learning, not in relation to the Ballroom community but in the context of their own collectivities. It is understandable that the gallery system may not provide an ideal space for political intervention across "publics." That said it is a space wherein forms of contact might take place, albeit in somewhat decontextualized ways. Is one of your goals to raise some form of awareness outside the House|Ballroom community, and if so might other, more technologically mediated spaces such as the Internet serve your goals better? Formal gallery spaces and the internet are extremely flexible. They are, of course, also always situated or positioned — as many have argued, the white cube is not neutral, nor is the internet an undifferentiated, egalitarian space. Both galleries and the internet have addresses and how they address their audience is conditioned by, among other things, the ideologies of “the public” proposed by their patrons. The question of “the public” or “publics” in both settings must be carefully considered when determining which of their many possibilities to privilege. These spaces exist in their practices. In the case of Vogue’ology, the gallery space was used to house an investigation. The potential meeting points for visitors were questions about methodology, process, and history. It was our impression that only a few of the visitors who came into the space during the brief exhibition actually committed the time required to be participants and undertake the investigation. The longest stays in the space were actually by groups of artists preparing for their upcoming exhibitions in the gallery. We overheard in these installation discussions negotiations like the ones we had undertaken as we prepared for Vogue’ology. There are many agendas at play in the Aaronson Gallery — art students are eager to make their work public, artist-teachers hope to sustain contact with a broader audience than their colleagues and students, the visual pleasure of the exhibitons helps the institution stand out in the crowded universe of art schools, and many are interested in circulating analyses of critical political issues. How the gallery is used for political ends depends on how one understands politics. Among the decisions to be made regarding the political possibilities of an exhibition is whether the primary aim is to raise awareness with as broad a public as possible or whether the venue becomes a location for organizing with those who are already invested in an issue. These options are not necessarily in opposition or conflict with each other. Some aspects of an exhibition can be used to raise awareness while others contribute to the ongoing process of organizing. In the end, the question is how the exhibition is actually used, which is to say how are people invited into the space, who is invited into the space, what are the terms of the invitation and, very important, how is the invitation accepted. The shift from receiving to responding to an invitation is a crucial dimension of the discussion of publics. It was our sense that those who dropped into the exhibition for a few minutes appreciated one or two of the objects on display and left. This encounter most likely reinforced their existing understanding of the Ballroom scene or actually had little to do with the scene at all. For those who followed the investigative procedure the Ballroom scene became less transparent since the possible terms of knowledge expanded and remained resolved. This was certainly the impression we had when the protocol was followed during the various collective sessions we organized in the space. The investigations led to discussions of issues of common concern for the participants. These were resonant with themes in the Ballroom scene yet rather than functioning as the object of fascination, the scene functions as a foundation for analysis. For a group of young women, the questions that emerged from the procedure concerned the situated dimensions of gender performativity. Contradictory propositions concerning teaching and learning vogue led a group of art students and young curators to confront questions of pedagogy in the development of their practices and their understanding of the art world. We heard in these discussions a deep crisis concerning the future of socially engaged art practices in the context of globalization. The gathering of members of the Ballroom scene in the gallery space resulted in the articulation of fundamental questions concerning cross-generational transmission of knowledge and values and the need to think seriously about how the community organizes itself. Each of these discussions was robust, challenging and interactive. The limitation was that these were only one-off affairs so we were only able to scratch the surface. The House|Ballroom Community has been one of the communities most affected by the HIV/AIDS crisis, and Vogue'ology makes explicit all that has been lost in the past three decades. What is the relationship between AIDS activism and awareness in the Ballroom community and in your own art practice? Is there a political goal to Vogue'ology beyond the creation of an archive of the past, one that looks to a future politics? Absolutely. Ultra-red was formed by AIDS activists and for many in the collective AIDS cultural analysis/cultural action and harm reduction principles remain at the heart of our practice. There is a strong affinity between our work and the recognition among more progressive elements of the public health establishment of the role of structural factors such as racism, homophobia and poverty play in the epidemic and just about every other health issue. Individuals and communities that are on the receiving end of social violence know this fact intimately. The awareness in the Ballroom Community that the AIDS crisis cannot simply be attributed to individual behaviors is ubiquitous. How to shape information and establish the conditions for the choices involved in effective HIV-prevention and ensuring treatment access and adherence for those living with HIV/AIDS in the community is not accomplished by simply imposing conventional behavioral health and primary care models on the community. As the archive project has progressed, we’ve begun to think of history as a structural factor and therefore a venue for structural action. There are historiographies that foreclose this possibility, however, such as an emphatically linear history that inhibits encounters with the past in the course of analyses of the present. Vogue as embodied archive has particular resonance in discussions of health, illness, death and survival. How history is narrated, by whom, for whom, under what conditions and to what end? These are the elements of a structural analysis of collectivity. Yes, we do look to a politics of the future that is grounded in a denunciation of the conditions of oppression and an enunciation of the terms of freedom. Now that the show has closed, what is the next stage for the archival project? The conversation that started when members of the Ballroom scene met in the Aaronson Gallery will continue. This group and the archive and oral history project teams will review the observations and propositions regarding archiving gathered during the exhibition as they determine how best to organize and develop the archive. We will continue gathering oral histories and accepting donations of materials. We also plan to hold small discussion groups for the community in people’s homes or, if they are willing to give us access to their spaces, other art institutions in New York City, Newark, Jersey City and elsewhere. The question of funding is also something we need to consider. Ultra-red is also planning a follow-up project that will include procedures designed to support the next phases of organizing the archive. Thank you very much for speaking with me, and I look forward to future projects from Ultra-red.